The Air Force 460th Space Wing says it is "talking" with the new SBIRS GEO Flight 4 satellite. 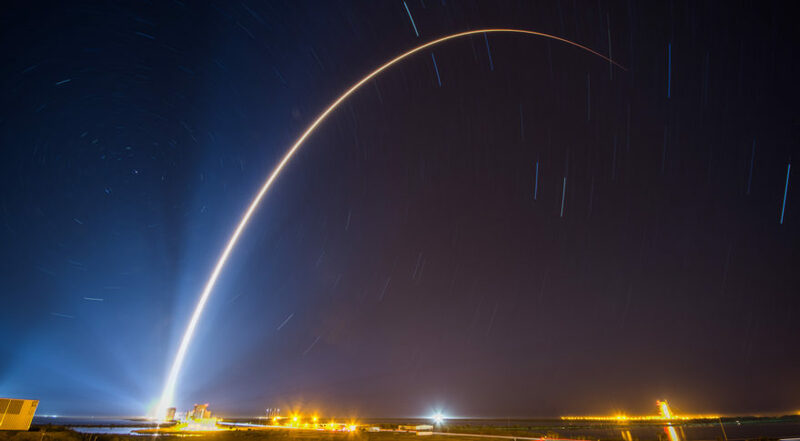 WASHINGTON — The U.S. Air Force says it has made contact with a new missile-warning satellite that was launched Friday night from Cape Canaveral Air Force Station, Florida. The Air Force 460th Space Wing at Buckley Air Force Base, Colorado, reported late Friday it was “talking” with the billion-dollar space based infrared system geosynchronous satellite known as SBIRS GEO Flight 4. It the fourth in a constellation of similar satellites built by Lockheed Martin Corp. They are equipped with powerful scanning and staring infrared surveillance sensors. SBIRS GEO Flights 1, 2 and 3 were launched in 2011, 2013 and 2017. The 460th Space Wing is responsible for global missile warning, space surveillance and communications. It reports to the 14th Air Force and Air Force Space Command. The SBIRS GEO Flight 4 satellite flew aboard a U.S. Air Force Atlas 5 rocket. This was the 75th launch carried out by the Atlas 5, provided by the United Launch Alliance. Laura Maginnis, vice president of ULA said this was the company’s 125th launch, and the second one of 2018. The SBIRS GEO 4 was ULA’s 46th launch for the U.S. Air Force. The Atlas booster for this mission was powered by the RD AMROSS RD-180 engine. Aerojet Rocketdyne provided the AJ-60A solid rocket booster and RL10C-1 engine for the Centaur upper stage. The mission differed from previous SBIRS launches in that a solid rocket strap-on motor was used to increase the vehicle’s lifting power, reducing the amount of fuel needed by the rocket’s Centaur upper stage to place the satellite into its proper transfer orbit. Once the satellite separated, the Centaur had sufficient fuel left over to propel itself into the ocean, reducing the risk of colliding with other spacecraft in an increasingly congested orbital environment, Eileen Drake, CEO and president of Aerojet Rocketdyne, said in a statement. ULA announced that the satellite is “responding to the wing’s commands as planned” and signal acquisition was confirmed approximately 37 minutes after the satellite’s 7:48 p.m. EST launch. The satellite will transition to its final location in geosynchronous orbit, approximately 22,000 miles above the Earth. There, the satellite’s solar arrays, light shade and antennas will be deployed to begin on-orbit testing. Col. Dennis Bythewood, director of the remote sensing systems directorate at the Air Force’s Space and Missile Systems Center in Los Angeles, said that after separation, it takes about 10 days for the satellite to reach geosynchronous station. Turning on the equipment on the satellite is about “a month of activity,” and beyond that, several months of on-orbit system tests. Lockheed Martin is already half-way through the production of SBIRS 5 and 6, scheduled to be delivered in 2020 and 2021. ULA’s next launch is the GOES-S mission for NASA and NOAA on an Atlas 5 rocket. The launch is scheduled for March 1 from Space Launch Complex-41 at Cape Canaveral.